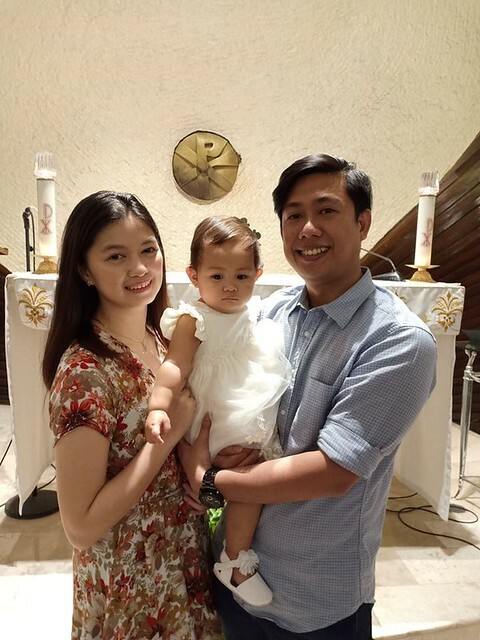 Welcome To The Christian World, Isabel! I hope you all enjoyed the long weekend. Mine was super busy, hindi ko man lang siya namalayan. To start, last Friday, we were asked to go to Baguio for the RFO walkthrough of the first building of our Bristle Ridge project. We went back to Manila the next day. As you have seen in my Instagram stories, wild yung fog and rainy weather there. It took us 8 hours to get back to Manila from Baguio. Kennon Road was closed so we had to take Marcos Highway. Ang tagal ng biyahe kasi halos zero visibility sa Marcos Highway and rain was pouring hard at TPLEX. So kain na yung buong Saturday ko. The next day, we were supposed to go to the beach with Pineda’s family. 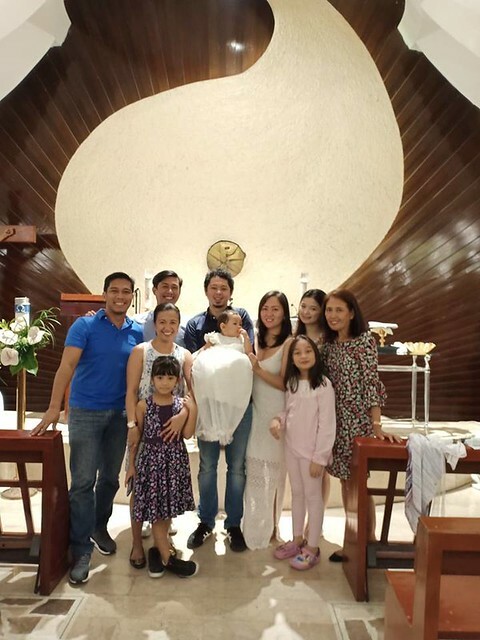 However, (1) it was Isabel’s baptism pala (nawala sa isip ko) and (2) Anika just got well from her two day fever bout. 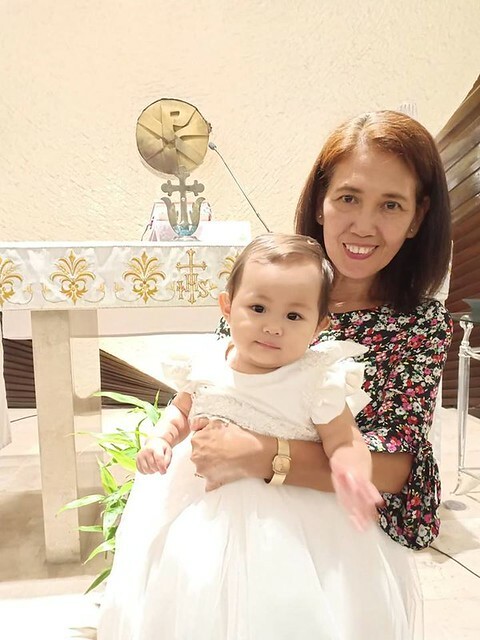 Isabel’s christening was held at Don Bosco Church in Makati. It was held at the small chapel behind the church. Don Bosco is known for being strict sa outfits you wear inside their church. I remember a few years back when I was coordinating weddings pa, my co-wedding coordinator was sent out of the church kasi she was wearing a tube gown. She had to wait for the members of the church to get her a shawl. 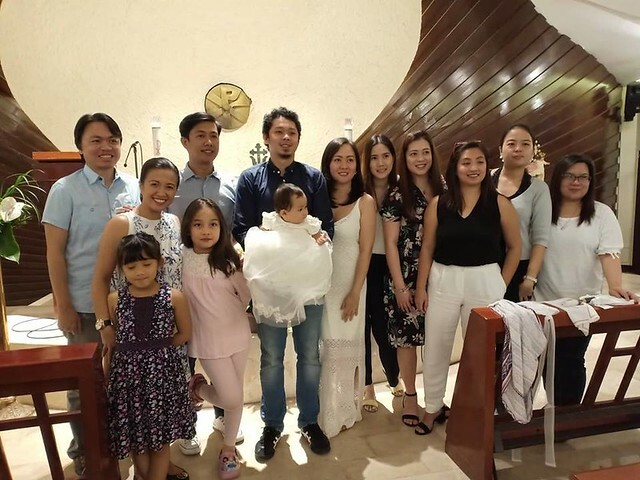 Mas grabe yung nangyari dun sa female wedding entourage members. 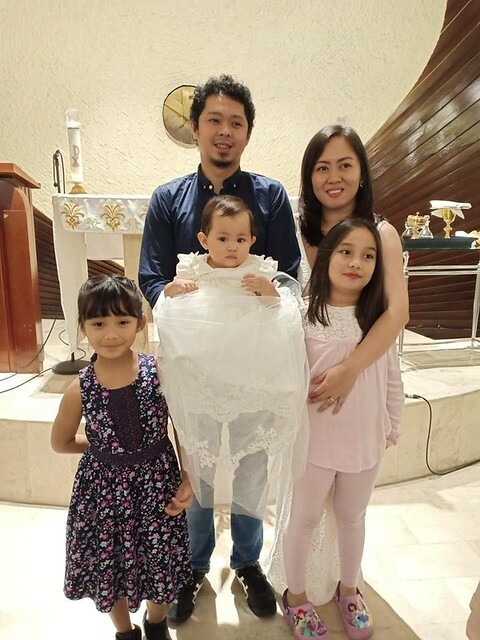 Since bawal ang tube and spaghetti straps and the couple didn’t know about that rule, the people from the church made the entourage wear shawls (the church provided) while walking down the aisle and all throughout the ceremony. Imagine how they looked like sa photos. Inatake siguro sa puso yung gown designer. 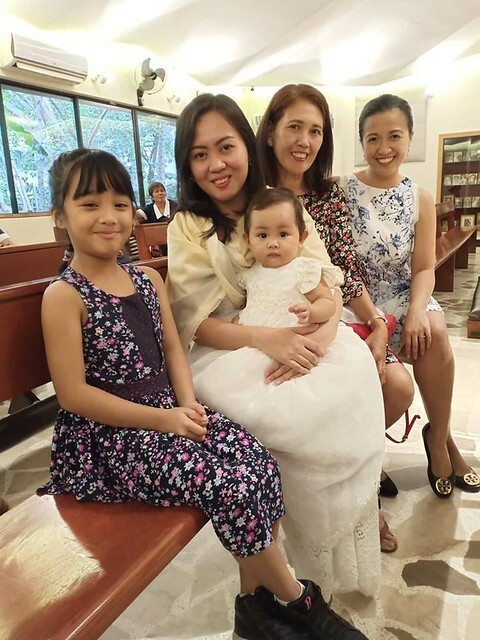 Ang gaganda pa naman ng gowns nila. Sayang. So I wasn’t really surprised when they asked Faye to cover up that day. Faye complied. Hindi pa nakuntento, she was required to tie the shawl at the back para SURE DAW na hindi babagsak. Faye had to tell them that Isabel is breastfeeding and she needs access. So pinayagan na balabal lang. Apparently, super bawal also magingay sa chapel na yun so we were always sinasaway nung girl dun. 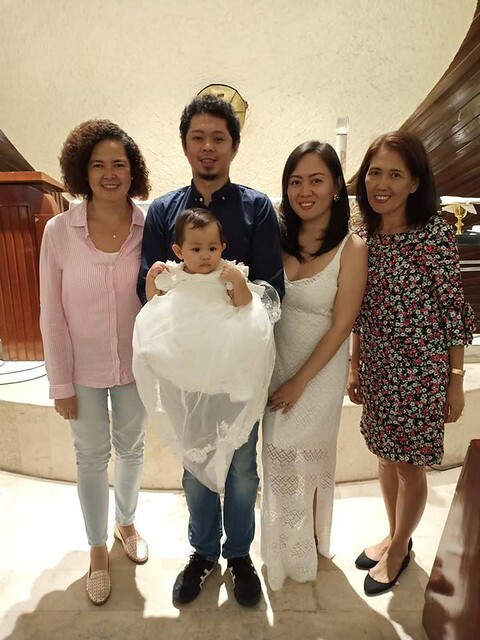 Pinakabongga was when the ninongs and ninangs were asked to go at the back of the chapel so they can start the baptism rites. I was first to line up. 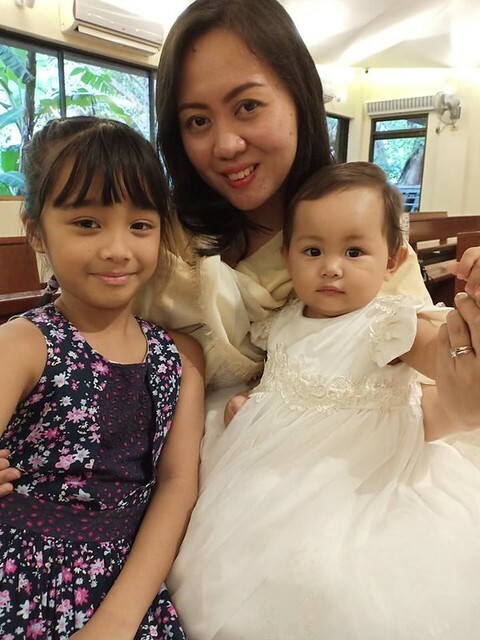 Feeling main ninang eh. But you know, except for one couple, they made us go back to our seats. Yung mga nagattend lang daw ng 3 hour seminar ang pwede magparticipate. The fuzz. I asked Faye about this and said she didn’t require na all the ninongs and ninangs to go to that seminar kasi 3 hours nga. 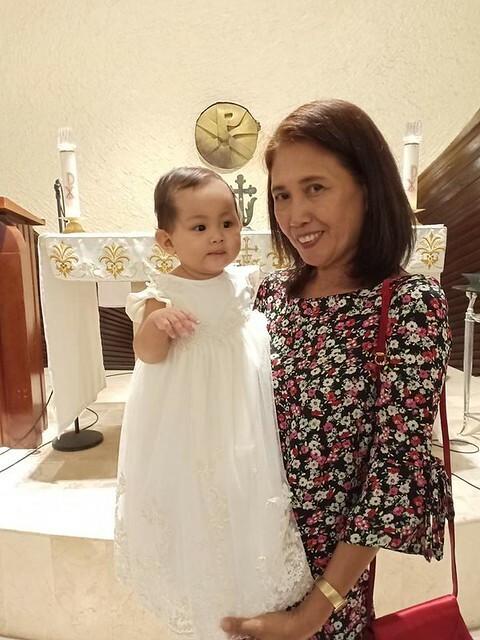 And she didn’t know na hindi papayagan magparticipate ang godparent if hindi nagseminar. I’m sorry but I was soooo pissed. Pati dun sa pouring of water dun sa head in Isabel, they didn’t include us too. Maluha-luha ako sa inis. I badly wanted to participate. 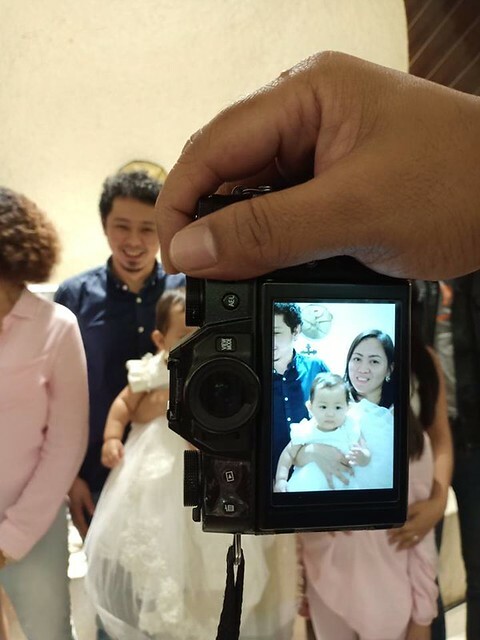 That’s Isabel’s christening talaga eh! Asar talo ako kay Alvin. I just wish they told the parents about that rule. Hindi kasi talaga cool. 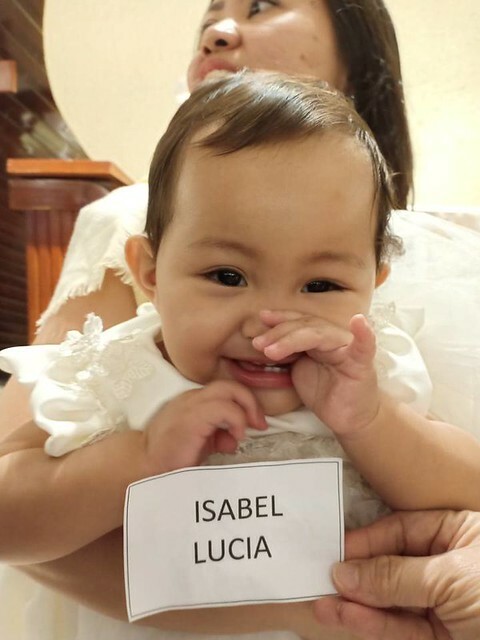 Anyway, the important thing is that Isabel now is a Catholic and both sides of the family were able to get together. Here are some photos I took. Anika’s so in love with Isabel. Ang ganda ng ayos ni Faye and LT! Partida, hindi sila nagpaparlor ha? OMG, buti na lang nagwe-weights ako. Isabel was so heavy! Hahaha! She’s so adorable though. Okay. 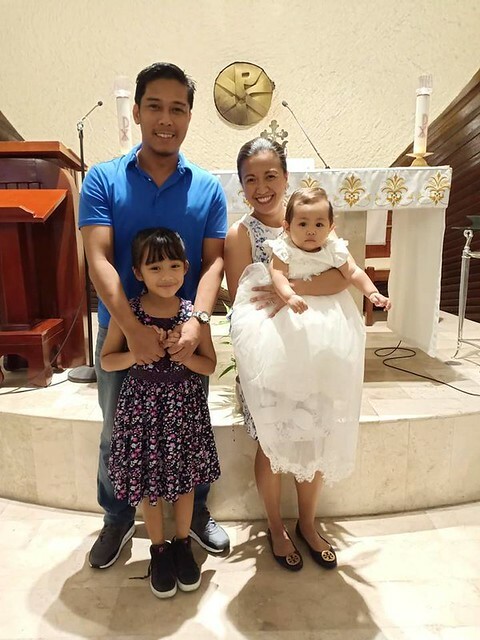 Baka hindi na talaga ako magka-anak so imaginin ko na lang ganito hitsura namin sa binyag if ever magka-anak ako. Lelz. 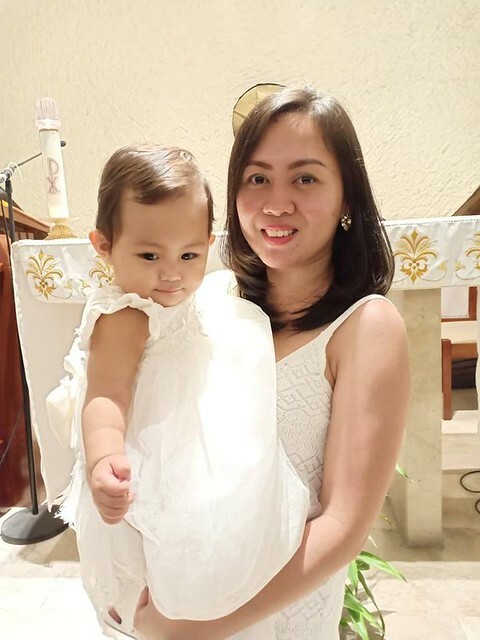 My beautiful sister/cousin and her adorable baby girl. 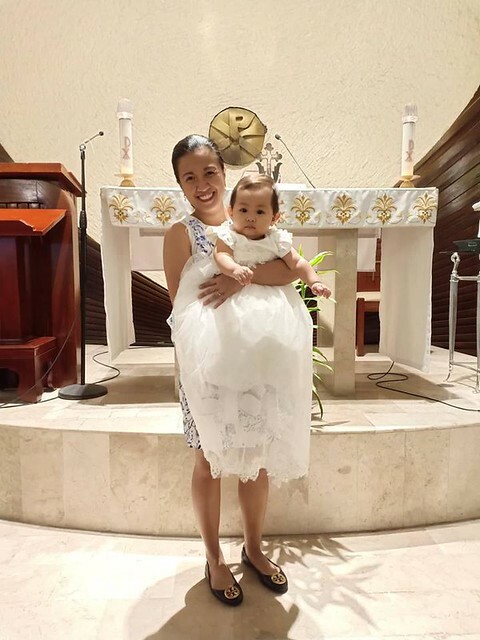 Isabels’ christening gown was made by LT. It was beautiful. 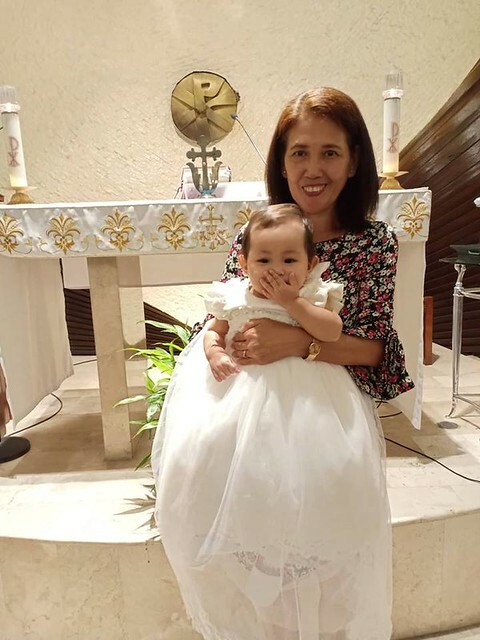 It had a detachable train that turns the christening gown into a reception gown. Ganda grabe. The grandparents na isa lang there ang nakapag-participate fully #BitterTalagaAko Hahahaha! 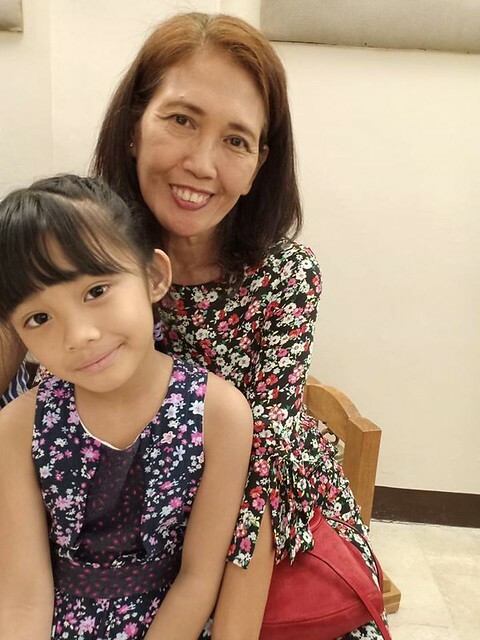 Here’s Isabel with her two lolas. Side note: I love Faye’s lace dress. I forgot to ask her where she got it. We weren’t able to go na to Amici where the reception was held. May basketball game kasi si Alvin. Nakssss. Kala mo varsity eh. I also went and attended a volleyball practice. Sasali kasi kami sa liga. I’m playing with some of my CSA varsity-mates plus new friends. After the practice, I couldn’t move a muscle. Akala ko tratrangkasuhin ako. Partida ha, batak ako sa boxing and exercise pero iba pa din ang actual volleyball and yung pagulong gulong ko dun. I’m happy to say that I still have it, you know. Hehehe. I mean, I can still play. For my age, mabilis pa din ako. I was the setter/libero when I was playing under Coach Vita. Hingal lang talaga kalaban and yung sakit ng katawan after that. But I am super duper happy that I’m playing again ‘coz volleyball really makes me happy. Osha. Kwentuhan tayo ulit soon!